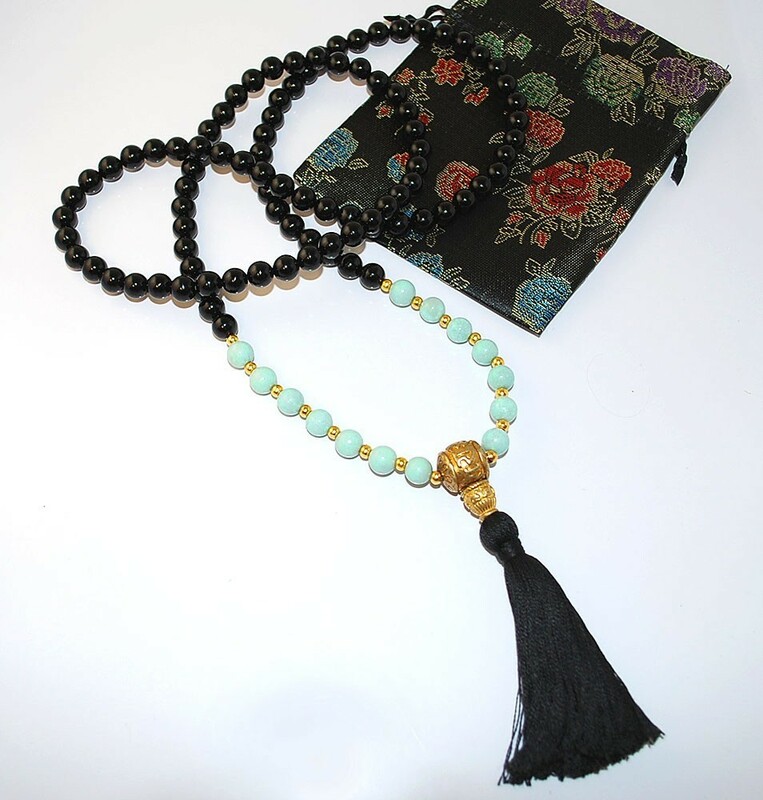 Lavish in the luxurious allure of the Empowering Mala Necklace from Sakura Designs. 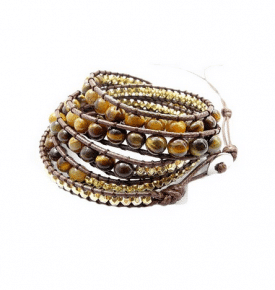 Bestowing the wearer with healing energies and providing protection from negativity, this Mala takes action for you. The Empowering Mala showcases two essential stones that band together to create a stunning representation of personal power. 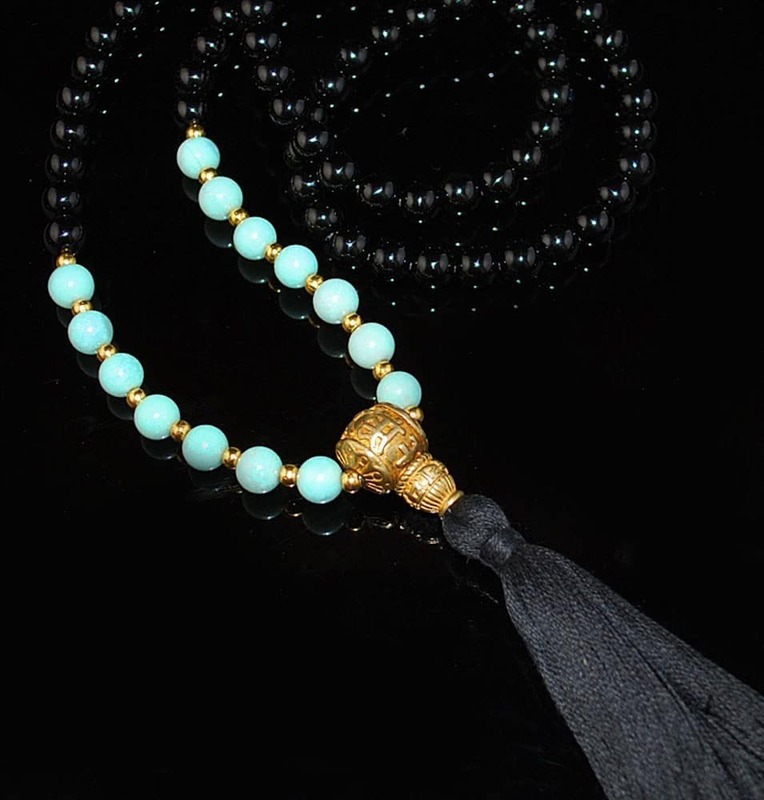 Black Onyx and bluish-green Amazonite collaborate to create this remarkable necklace with special healing qualities. Not only do the stones grant the wearer the highest of vibrations, but the necklace itself is simply opulent! 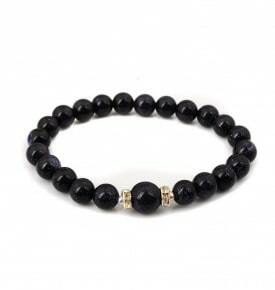 Beads of Onyx stimulate the Root Chakra, grounding the wearer with physical and emotional strength and vitality. Healing the Root Chakra is crucial for the foundation of life. 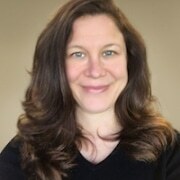 Safety, security, and preservation of the self are keys to having an empowered life. All negative energies are elegantly absorbed by the powerful stones, shielding the wearer completely. 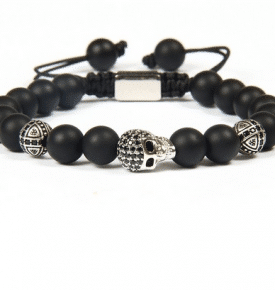 Each 8mm bead acts as a guardian against negative energies. 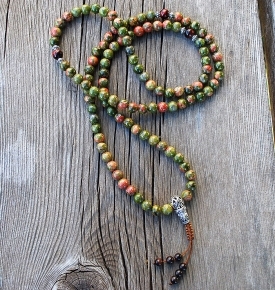 The Empowering Mala banishes worry and despair with ease and grace. The elegant beauty of the black Onyx bestows the wearer and a sea of serenity and calm, untouched by stress. Decrease stress and worry and receive only the good that life has to offer! Luminous Amazonite beads are delicately placed in between gold markers, helping them to stand out. Amazonite is another support stone that assists in communication in relationships, creates peace and dissipates stress and tension. Take chances without worry, because Amazonite is a personal lucky charm. The prosperous stone can attract new opportunities and people to the wearer. This turquoise stone calms the mind and aids in the expression of deep truths and straightforwardness. This stone balances the Throat and Heart Chakras, so the wearer of Amazonite communicates clearly and efficiently. 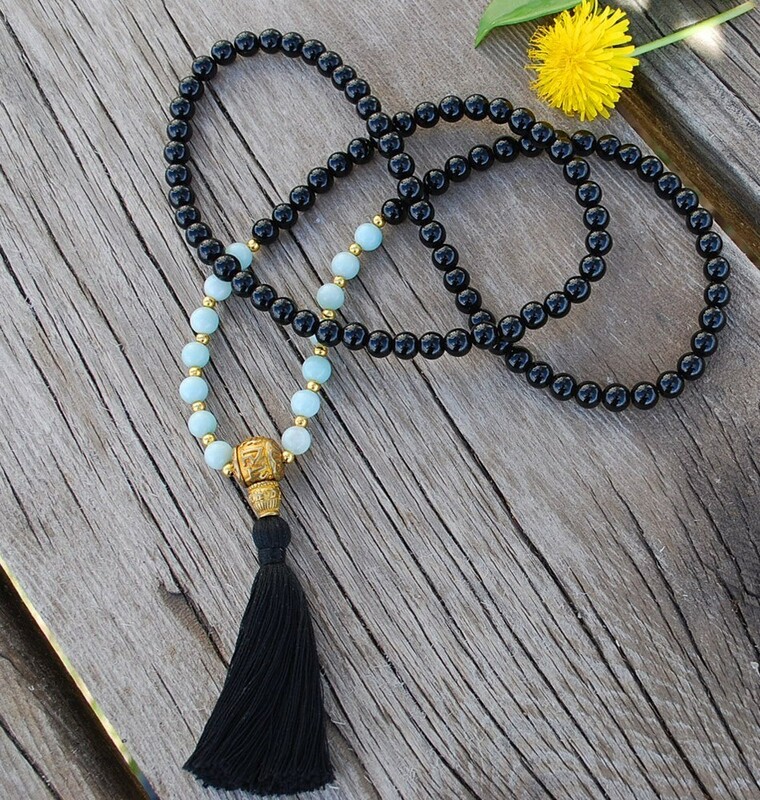 Create happiness and wellness in all areas of life with this Empowering Mala Necklace. 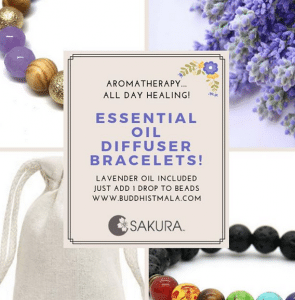 Sakura Designs offers the highest quality Mala Jewelry and are made in the USA!